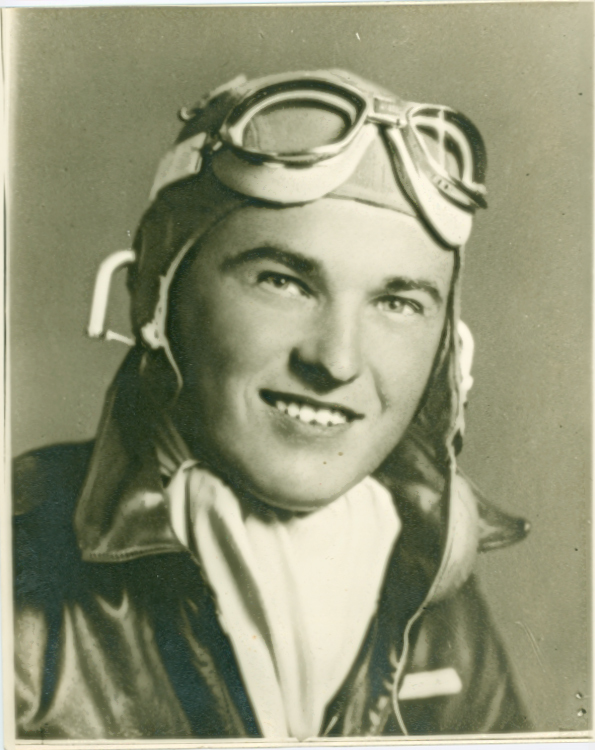 This handsome young pilot who is all decked out in a leather jacket, ascot, aviator’s cap and goggles is Vince Karpinski of Little Falls, Minnesota. We do not know too much about Vince. He is listed in the 1938-39 Morrison County Directory as a renter at Box 100, Route 3, in Little Falls. Handwritten on the back of the photograph is a note indicating that Vince was a good friend of Edward B. Woodworth. Woodworth is also listed in the 1938-39 directory as a resident of Little Falls. He was a student at that time and was renting at 705 Southeast Third. If you have any information on Vince Karpinski, we would love to hear from you (320/632-4007; contactstaff@morrisoncountyhistory.org). Vincent Karpinsky was my uncle by marriage and married to my aunt Yolanda Licos of Los Angeles, CA. They were married 7 years before she passed away in 2009. Uncle Vincent lived out the rest of his days in Las Vegas NV. As a young man he joined the Army Air force shortly after the bombing of Pearl harbor and flew missions in his C47 aircraft over Europe and Asia and most notably missions at the Battle of the Bulge in 1944/45. A very patriotic American in all senses and he represented the best in all of what is American. Uncle Vincent passed away on May 27th 2018. I was lucky enough to hear some of his stories as a young pilot during WWII. Hector – Thanks so much for additional information on your Uncle Vincent. This helps us to expand the info we have on him and the Karpinsky family. We appreciate it very much!